Well Apple Pay seems to be off to a great start. Not.. Most people are getting the above message because they have a credit card that is not yet supported. 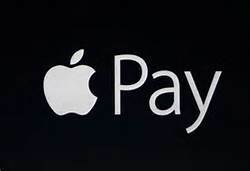 You would think Apple would of worked with more banks before they launched this technology. The list will be updated as banks are added. Contact your card issuer to determine your card’s eligibility. Some banks may not support all card types. First card I tried did not work. Hopefully US Bank will support Apple Pay very soon!